...He is regarded as "father of jazz" in Azerbaijan. He could create a great synthesis of jazz with national music, something majestic, something heaven. Magnificent pianist and composer, Vagif Mustafazade was one of the founders of the national jazz music and the new jazz trend called "jazz-mugham", assembling both a traditional Azerbaijan music and a classic American jazz. Mustafazade conquered the millions of hearts with his originality, virtuoso technique, and a peculiar harmonic language. During his short but very fruitful life he was able to create almost 1,300 pieces of music, despite heart problems. His works were known not only for jazz lovers. The composer collaborated with the theater, and wrote the music for documentaries, as well as created a jazz ensembles "Sevil" and “Mugham”, which won many hearts with their beautiful songs. 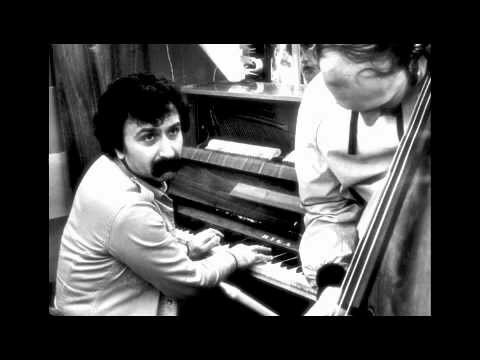 The king of Azerbaijani jazz had a dream -- to have a piano. Unfortunately, broken life did not allow the musician to achieve this dream. Mustafazade won "White piano" prize of the World Contest of Jazz Music in Monaco in 1978, but he could not take the prize, as on December 16, 1979 the giant jazzman left this world of a heart attack, on the stage of Tashkent during performing of "Waiting for Aziza" composition, dedicated to his youngest daughter .... He was only 39 years old. Mustafazade was known not only in Azerbaijan but also throughout the Soviet Union and abroad. He was a laureate of prestigious jazz festivals such as "Tallinn-66" and "Tbilisi-78". The famous king of the blues BB King shouted in the hall, "Mr. Mustafayev, they call me the “King of the Blues”, but I assure I wish I could have played the blues as you do." For sure it’s a talent of Vagif, who used to listen to the Voice of America, the pianist Bill Evans, saxophonist John Coltrane from adolescence, and could reproduce what he heard on the piano. Mustafazade played so fantastically, because of his unmatched performance of three organs: brain, heart and hand, making the sounds so sincere and pure. Vagif’s mother Zivar Aliyeva was one of the first Azerbaijani pianists and the student of great national composer Uzeyir Hajibeyli, who played a crucial role in the choice of her son’s life path: Vagif in his three years sat down at her piano. After the death of his only son, Aliyeva decided to create a museum in memory of Vagif. The memory of the great Azerbaijani jazzman honored far beyond the Icherisheher (Old City), where he was born. However, the spirit of this great musician is most likely felt in his house, where he lived and created the wonderful masterpieces. Founded in 1989, a memorial museum of the best-known representative of the national jazz music is located in Icherisheher at the street named after Vagif Mustafazade. Entering the room of the museum, the first thing that catches the eyes is a piano, "Rostov Don", owned by the mother of the musician ... And for a moment it seems that now the eminent jazz will enter the room and start to play his unique music. The music of the great composer sounds in the ears and soul, while discovering the house-museum, as if the walls of this house have absorbed all the music ever composed and performed here by musician. His daughters Lala and Aziza went to his father's footsteps and are now fairly well-known musicians. World jazz icon and charming Aziza Mustafazadeh inherited her talent from musical parents, and now she lives in Germany, where everyone knows her as “Eastern Diva”, “Scheherazade at the piano” and “Jazz princess”. While still a girl of seventeen, Aziza took the first place in the pianists competition of the Thelonious Monk in Washington in 1986, impressing the jury by mixing music of prominent jazz pianist Monk with elements of mugham.